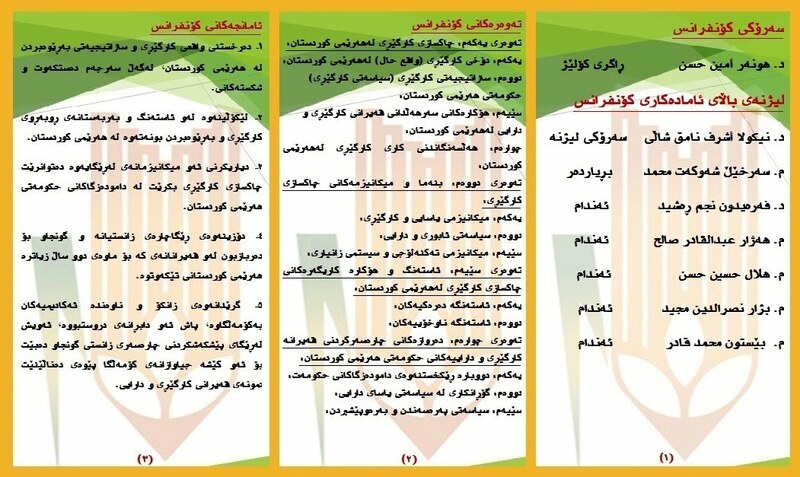 Understanding the status quo of management in Kurdistan with its achievements and failures. 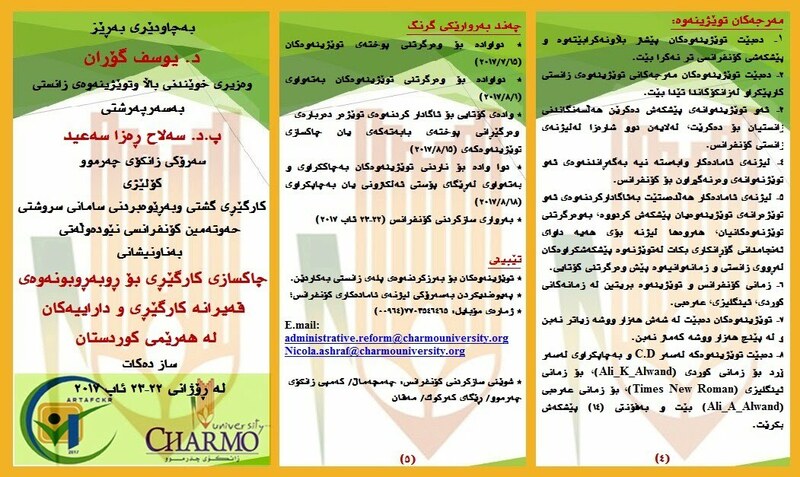 Studying the obstacles of management and administration in Kurdistan. Studying mechanisms for reforming the management of public sector in Kurdistan region. Finding scientific solutions for current crises which have been facing Kurdistan in the past two years. 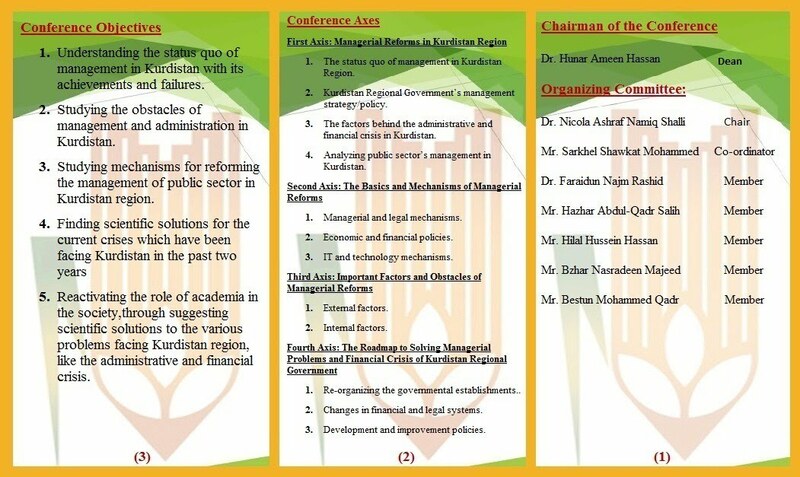 Reactivating the role of academia in the society, through suggesting scientific solutions to the various problems facing Kurdistan region, like the administrative and financial crisis. Deadline of abstract submission 15/7/2017. 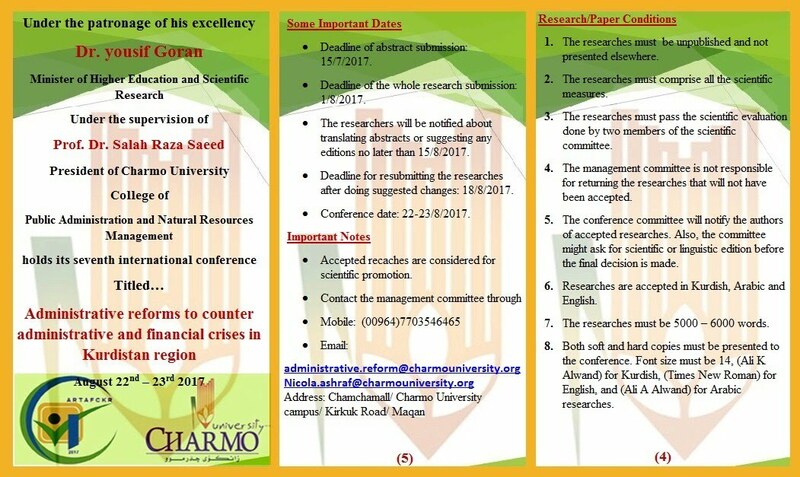 Deadline of the whole research submission 1/8/2017. The researchers will be notified about translating abstracts or suggesting any editions no later than 15/8/2017. 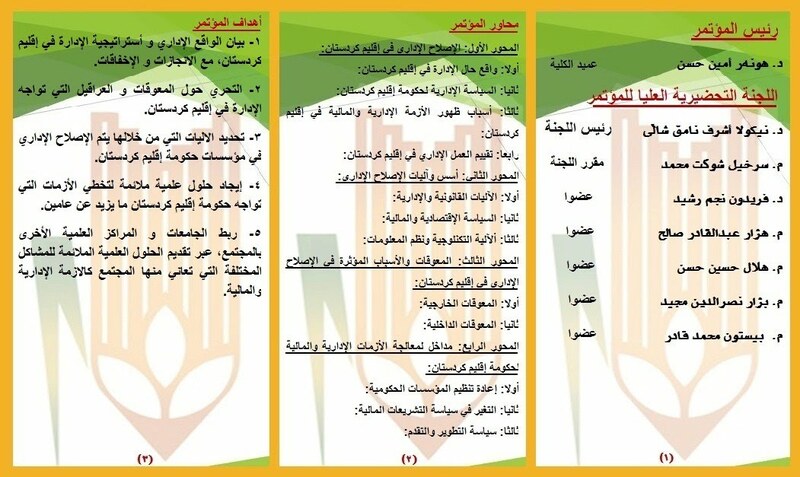 Deadline for resubmitting the researches after doing suggested changes 18/8/2017. Conference date: 22 - 23/8/2017. 1. 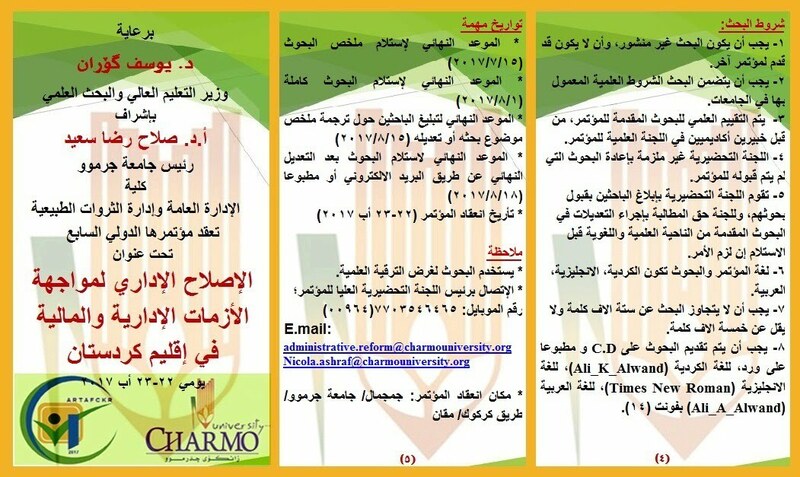 Prepare your manuscript in a paper format and submit it via email to (administrative.reform@charmouniversity.org). 2. Following an emailed acceptance notification sent from the conference committee, kindly resubmit the camera-ready paper.